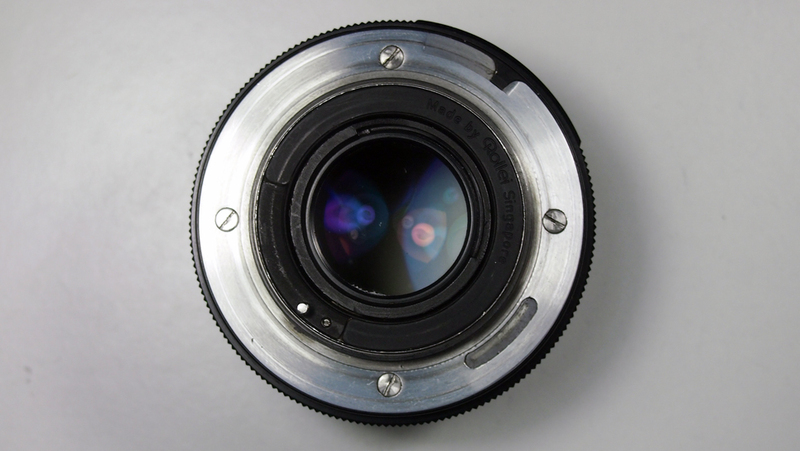 The following article presents a subjective perspective on the history and evolution of the Planar-type lenses from their origins to modern times. 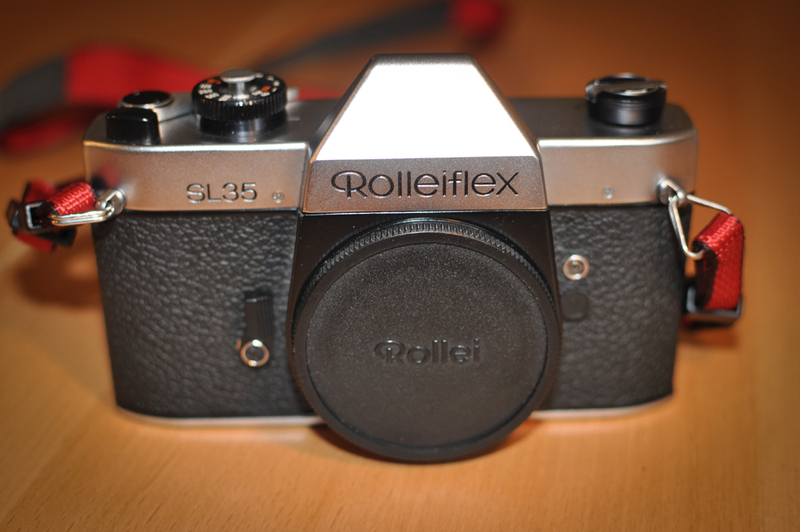 The Rolleiflex SL-35 was released in 1970. It was a less sophisticated device than a Contarex, but more modern and responsive. A brand-new Planar 50mm f/1.8 was offered as the kit lens. 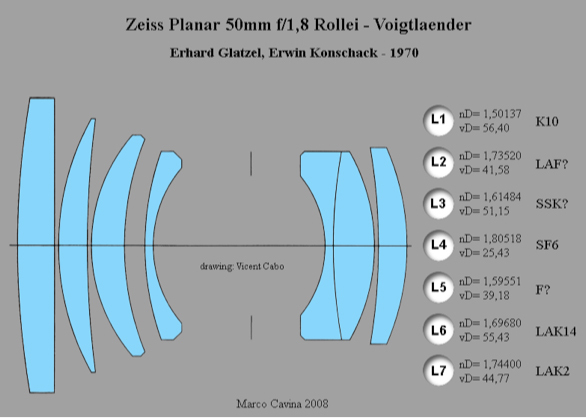 The lens was designed by Erhard Glatzel in collaboration with Erwin Konschack. As many as eight different prototypes were evaluated, with the seventh being chosen for production. It consisted of an asymmetrical 7-element construction with 4 single elements in front of the diaphragm. 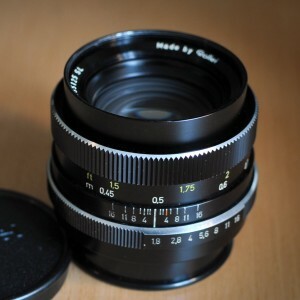 It was a quite unique design that Zeiss never replicated in any following standard lens. 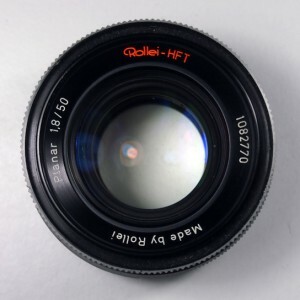 The same lens was sold as Oberkochen Opton in the Eastern markets. 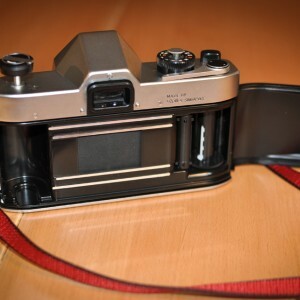 It was later renamed Planar Made by Rollei (Singapore) and even as Voigtländer Ultron on rebranded VLS camera bodies (after Rollei acquired Zeiss’ shares of the company). 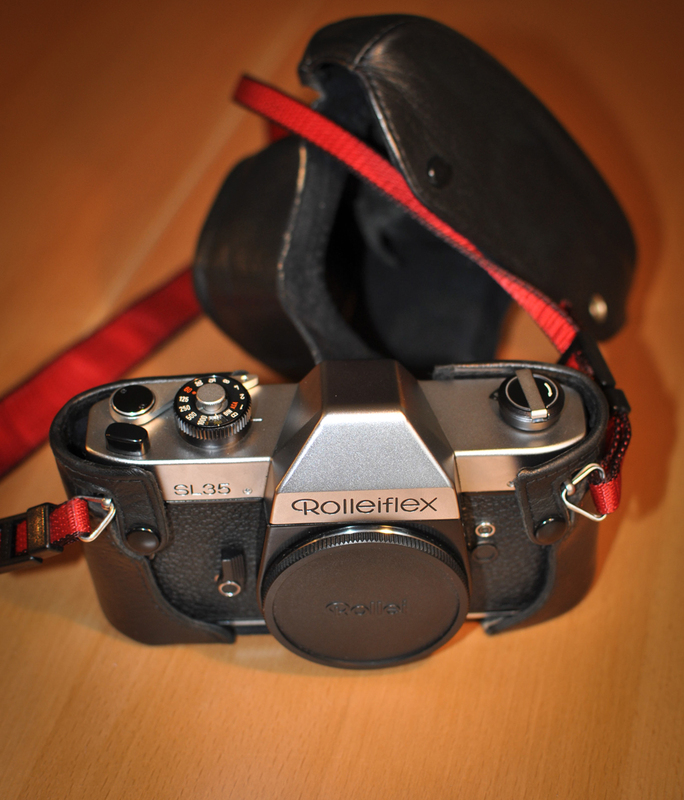 It was upgraded with Rollei’s proprietary HFT coatings in 1974 (two years later than other models). It is difficult to understand why Zeiss deployed such extensive resources for a simple 50mm kit lens for an external client. 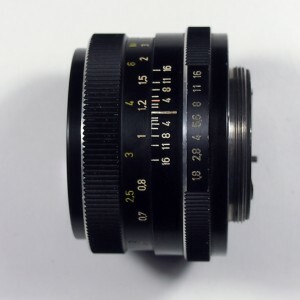 Keeping the Planar 2/50 as a top-notch Contarex exclusive made sense marketing-wise, but as a matter of fact this new 1.8/50 was more modern, more complex and even more expensive to manufacture. 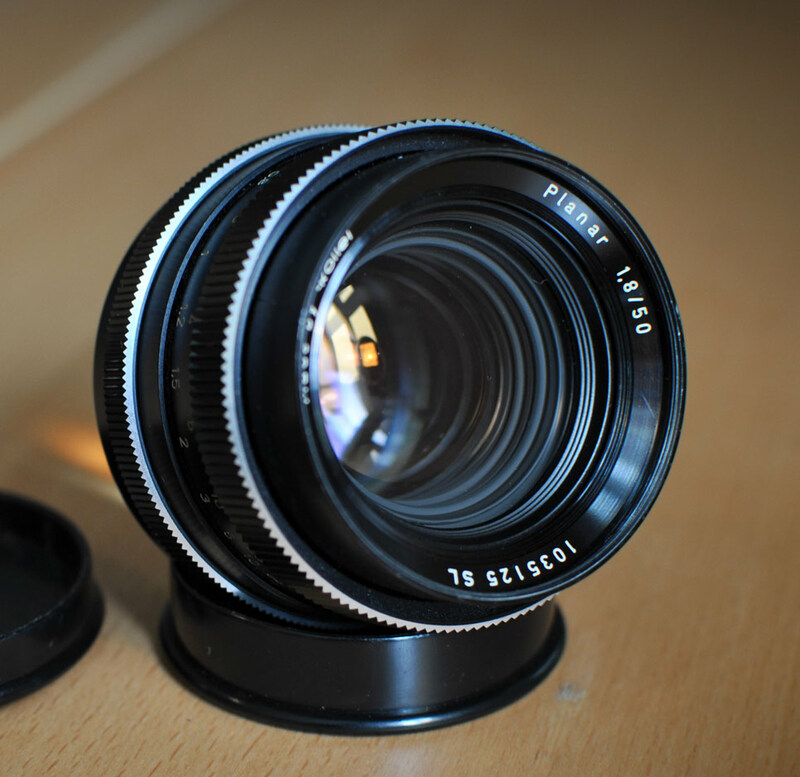 This 1970 Planar 1.8/50, in spite of an unchallenging maximum aperture, featured a complex and uncompromising optical design. The four air-spaced single elements in the front implied a whole lot of variables in the calculations. Some of the employed glass kinds do not figure in the current Schott catalogue – likely because they included now banned additives. The 7 elements were made of as many different kinds of glasses, including three lanthanum-enriched pieces (two Flint and one Crown). Glatzel had prepared eight different prototypes, some of which even featuring 8 elements (5 in front of the diaphragm). Variations included air-spacing versus cemented doublets, both in the front and rear modules. Overall, the project seems an overkill with respect of its scope. 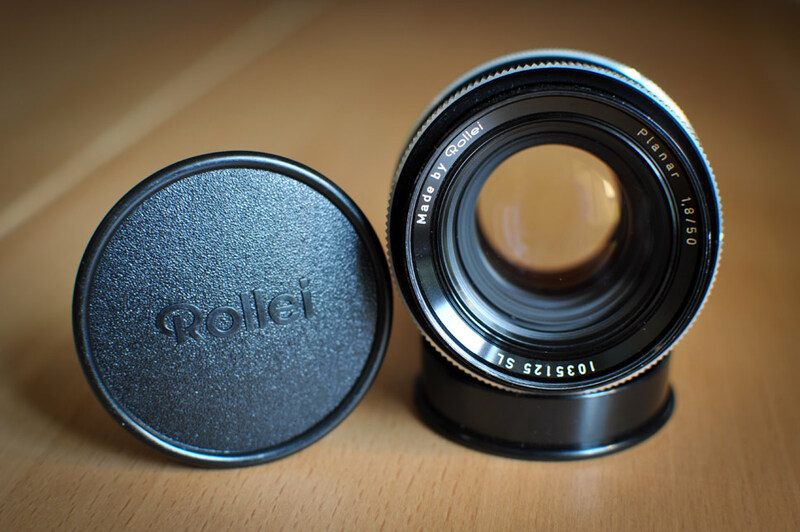 Thoroughness and excellence were definitely Glatzel’s style; however, while the designer’s ego might have played a role, it is unclear why Zeiss – seemingly against their own interest – decided to equip the partner/competitor Rollei with such a first-class lens. Meanwhile, the Zeiss management board was weeding out unproductive branches. Zeiss Ikon Stuttgart was closed down, thus terminating a glorious tradition that had started in 1926. 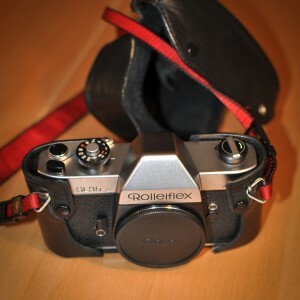 Their existing small-format lens portfolio was to be offered to Rollei, whereas an on-going project for a Contarex-mount Ikon SL-75 was to be passed on to Weber for the production stage. A new line of Zeiss lenses was being designed for this camera and featured a modern all-black finish and a rubberised focusing ring (basically the same look of future Contax lenses). Unfortunately, neither Zeiss nor Weber had the liquidity to kick-start the project. Of the SL-75 only one prototype remains. 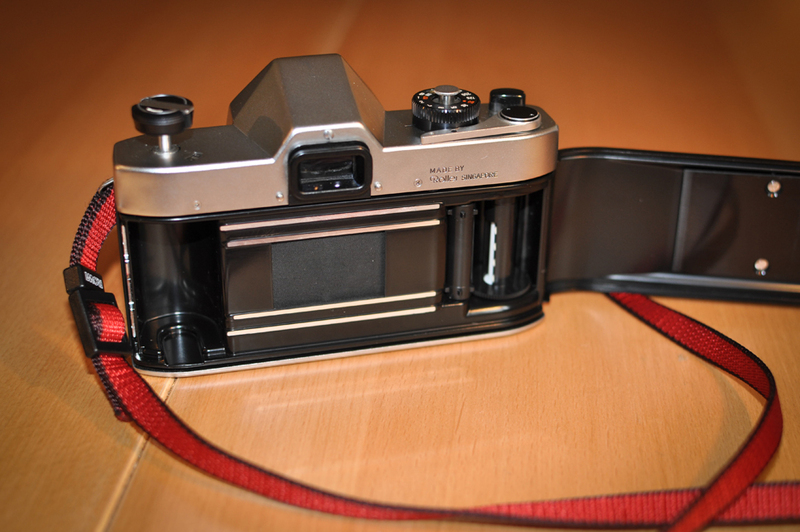 prototype of the Zeiss/Weber Ikon SL-75 and its Planar 1.4/50. Many thanks to Jürgen Kuc for sharing the pictures of these rare prototypes. 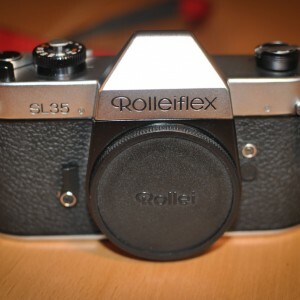 In 1972, while Zeiss was flirting around in the attempt to find a partner to get back into the camera industry, their only solid partnership was the one with Rollei. 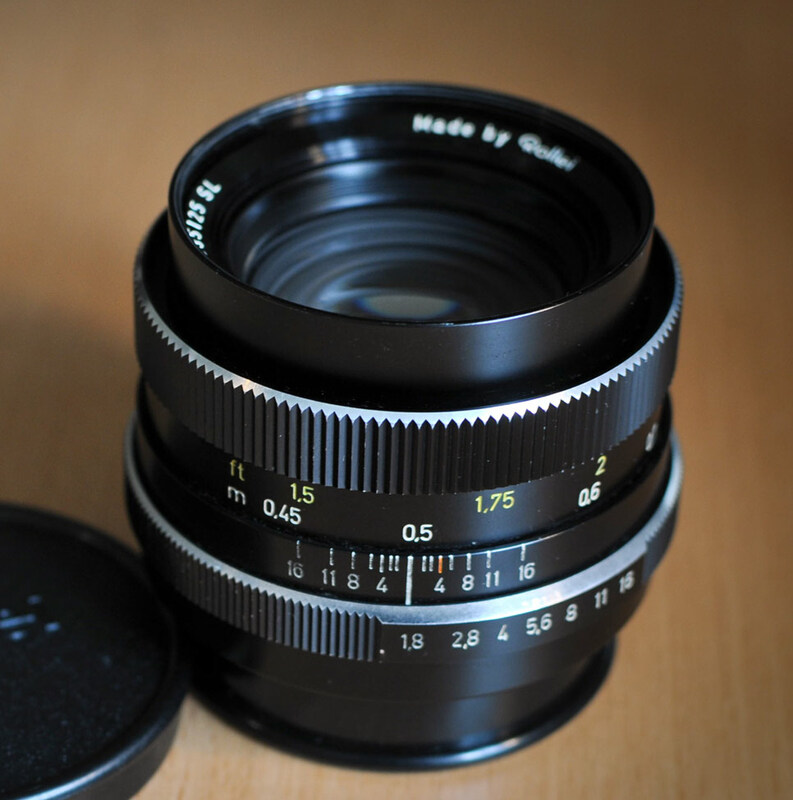 All of Zeiss production capacity for the 35mm format was thus dedicated to the SL-35. 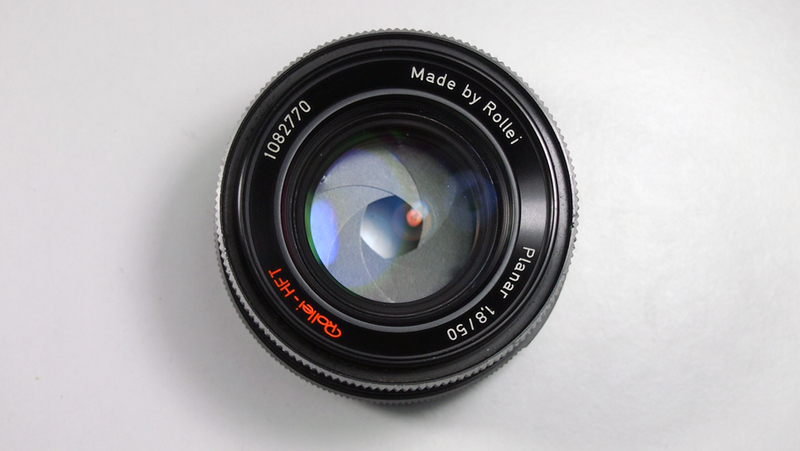 In that time a few Contarex lenses were still being released, but they should be considered as lenses for Rollei incidentally produced in very small batches in Contarex mount (mostly for pride’s sake). 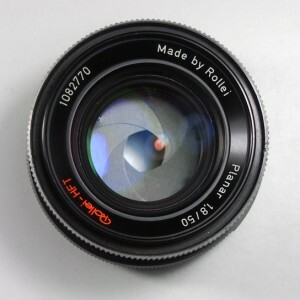 The extensive commitment to the design of the Planar 1.8/50 for Rollei is an indication that already in the late 60’s Zeiss managers saw the Contarex system as a “dead man walking”. 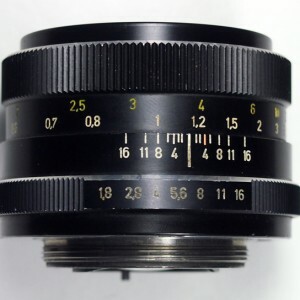 A Contarex-mount Distagon 15mm f/3.5 was presented at Photokina 1972, but just for show: it was an incomplete and rushed assembling lacking aperture control and a floating system for close-focus. 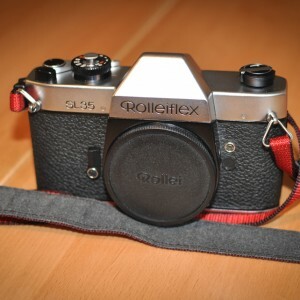 One year later, although Contarex cameras were still technically in production, the same lens was marketed with a new, refined construction in Rollei-mount only. 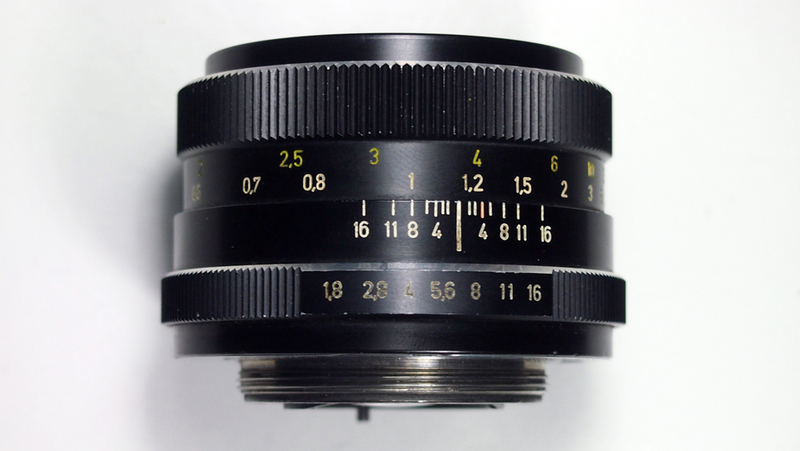 Of the famous F-Distagon 16mm f/2.8 only 150 units were made in Contarex mount, whereas the Rollei version was manufactured in regular batches. 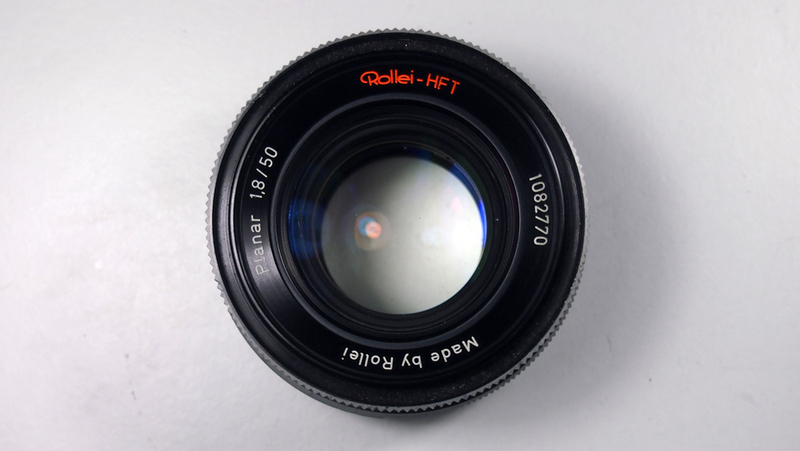 Other premium lenses were directly first-presented in Rollei mount (and in some cases never released in Contarex mount), including the Distagon 4/18 HFT (1972), the Distagon 2.8/35 (1973, later purported to the Contax system), the Sonnar 2.8/85 (1970), the Tele-Tessar 4/135 and 4/200 (1970). 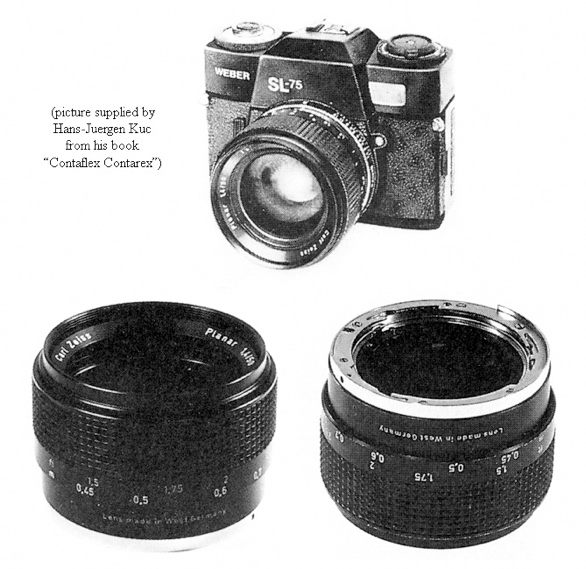 Even the Contarex Planar 85mm f/1.4, considered the crown jewel of the Contarex system, is the object of a mass delusion: it was introduced in 1973 for the Rollei SL-35 and only in 1974 for the Contarex – as many brochures of the time testify. 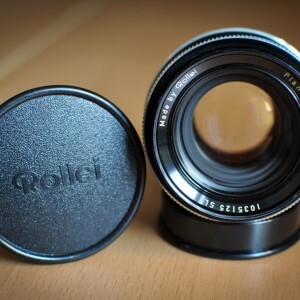 In those years Rollei requested a new, faster 50mm to be offered as a premium alternative to the f/1.8 model. 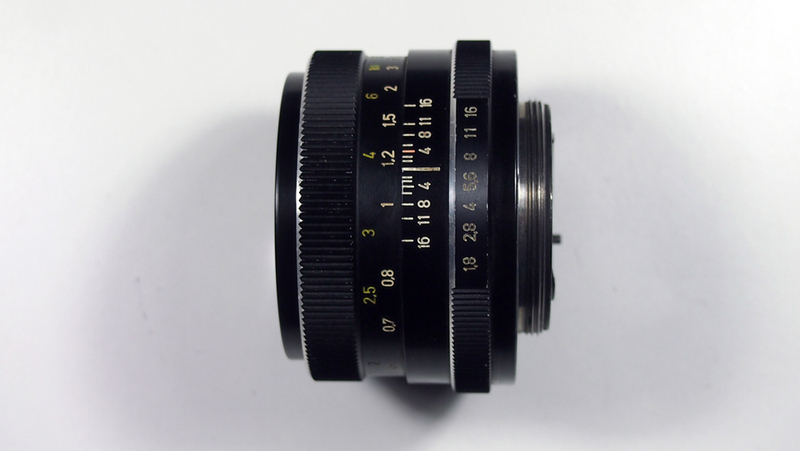 Again, Zeiss didn’t recycle the old (and somewhat unimpressive) Contarex Planar 1.4/55 nor the 1963 1.4/50 prototype. 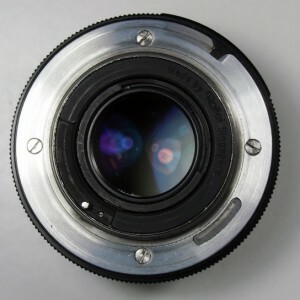 A new lens was designed from scratch by Karl-Heinz Behrens and Erhard Glatzel in 1972. This new 50mm f/1.4 was later purported to the Contax system (both the standard and the autofocus N-mount) and, with minor modifications, to modern DSLR: it is substantially the same Planar 1.4/50 currently marketed as ZE (Canon), ZF (Nikon) and ZK (Pentax). 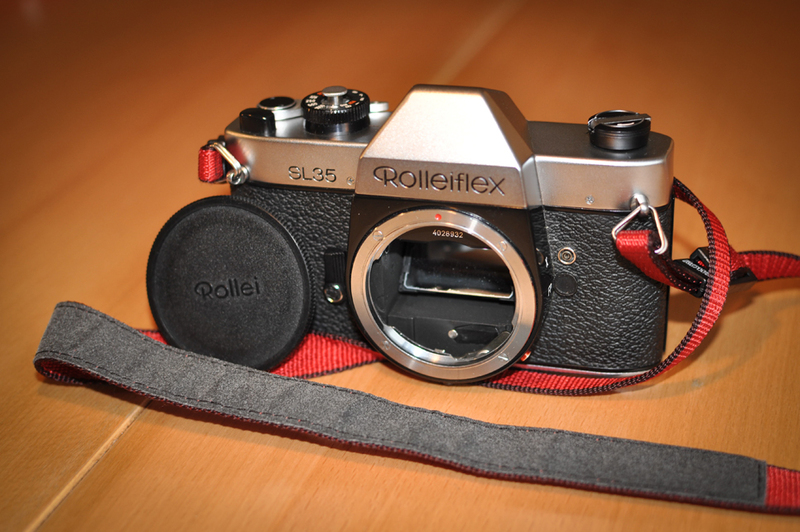 Unfortunately for Zeiss, the Rollei SL system didn’t enjoy great commercial success. Truth be told, this is not surprising and epitomizes the struggle of European camera makers of the time against the Japanese competition. The latter was way ahead of the curve, in particular Nikon and Asahi Pentax. As it happens in these cases, their innovations were carefully protected by an impenetrable wall of patents. 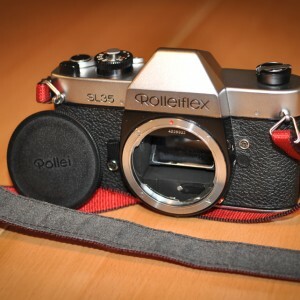 Ahead of the SL-35 launch, Rollei engineers had a short time to design a new mount and a new (yet competitive) mirror system. This deployment of time and resources into “reinventing the wheel” left the SL-35 somewhat lacking in other respects and widened the gap with the Japanese brands, which were already working full time on their next big break-through – electronic aperture control. Inevitably, the SL-35 entered the market as a brand-new, yet somewhat already outdated system. Later models offered incremental upgrades but never really managed to be technologically competitive. 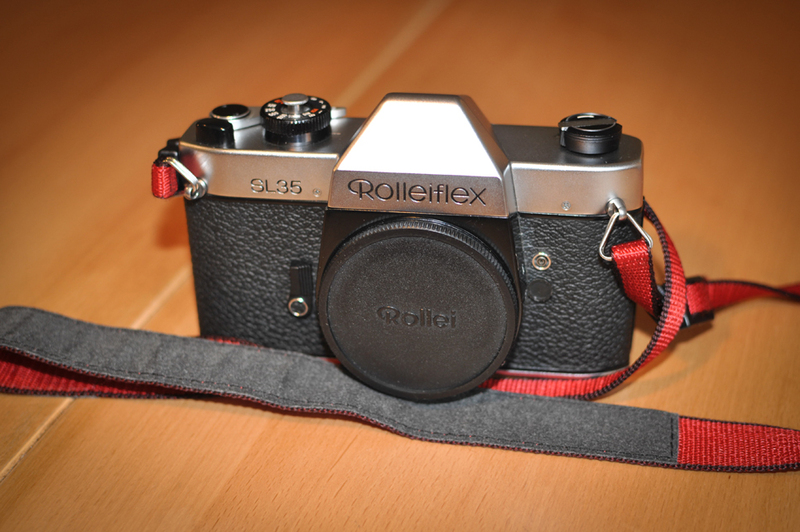 Rollei’s financial troubles pushed the company to move production to Singapore. Zeiss’ sale projections from providing lenses to Rollei never became real, as the old-time partner simply paid a licensing fee and manufactured the lenses in their new, massive facilities in Singapore. This signed the end of the standard, general-purpose Planars “Made in West Germany”.